For January, we'll be making the "Across the Square" block, and using Seahawks colors of navy blues, greys and bright lime greens. The block will finish around 14 inches. Please do not trim down! There are a lot of seams in this block so please work carefully and be mindful of your 1/4 inch seam allowance. Our block this month will be the Anita's Arrowhead pattern. We will be using raspberry pink, lime green and black & white prints for this one. Please use the cutting directions on page 5 for the 12 1/2" block. Use the pink or lime (or a pink & lime green fabric) for one starting square and a black & white print for the 2nd starting square. This is an easy block to do, if you follow the directions carefully. The PDF directions can be found here. Be very careful with this block - all the edges will be on the bias in the finished block. You can use starch on the two starting squares to minimize any stretching. Also, do not trim the edges of the blocks, which will be uneven when finished. November BOM: Circle of Friends Block Lotto! The BOM this month will be a Lottery Block - one of us will win all of these blocks! One entry per block, no limit on blocks per person. We will be making 12 inch finished blocks. The tutorial for this block is here. You can use your Modern-style scraps for the prints, along with white or white-on-white fabric for the background (no creams, please). 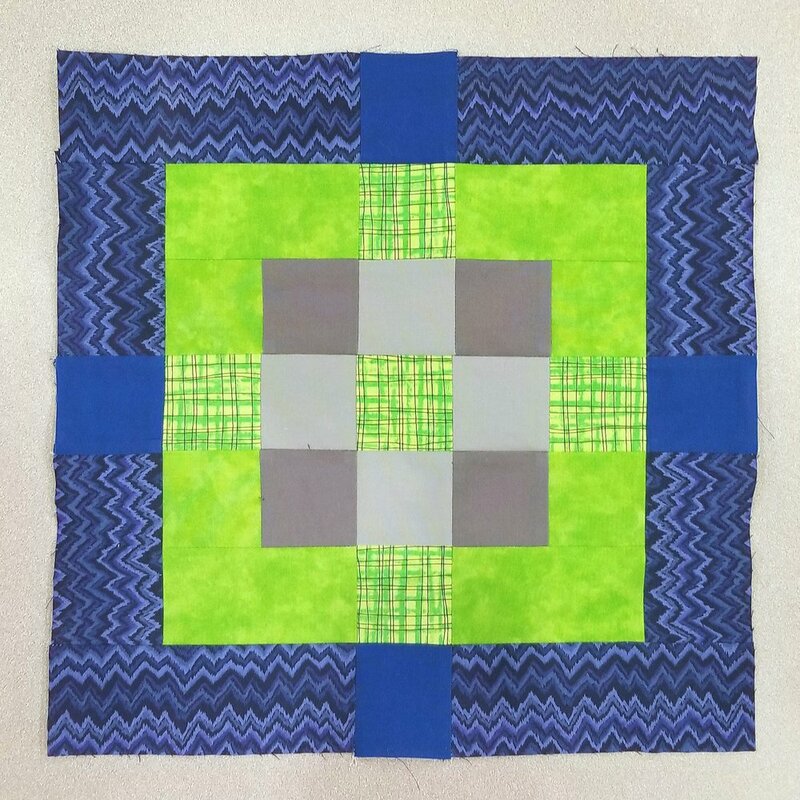 This looks like it could be a fun block for some fussy-cutting, too!